#8 – Great Whernside …Underground, overground. It’s all a bit confusing. There are two Whernsides in the Yorkshire Dales. There’s Whernside (736 metres) that is one of the Yorkshire Three Peaks, and there is Great Whernside (704 metres) that isn’t. Using the same name for different hills can cause confusion, such as two different Harter Fells in the Lake District, or the Black Mountain and the Black Mountains on opposite sides of the Brecon Beacons. Sort that out, then! I’ll not even mention Scotland. So, having established all that, this is about a walk on Great Whernside above Kettlewell. 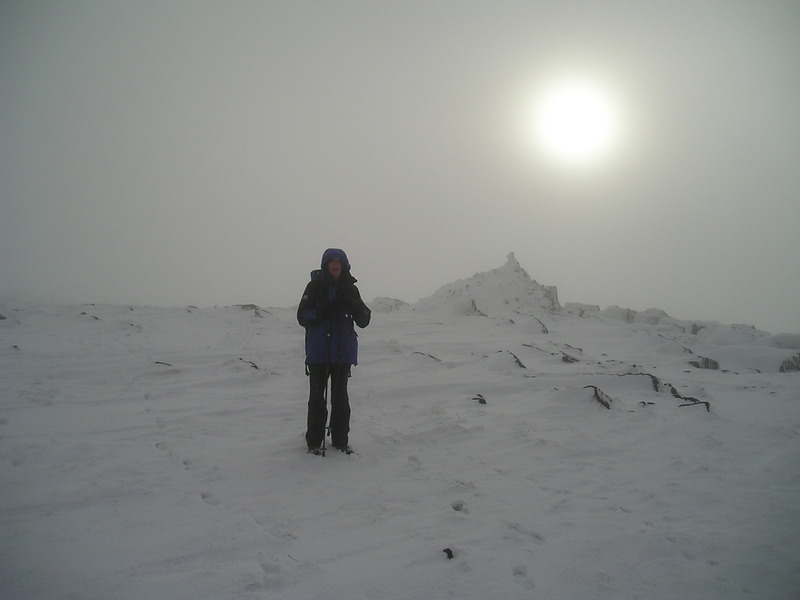 6th January 2011 – I’m usually a sucker for a good weather forecast, so when both the Met Office and MWIS (Mountain Weather Information Service) agreed on a ‘shiny sun’ symbol from noon onwards, a walk up a hill was on the cards. 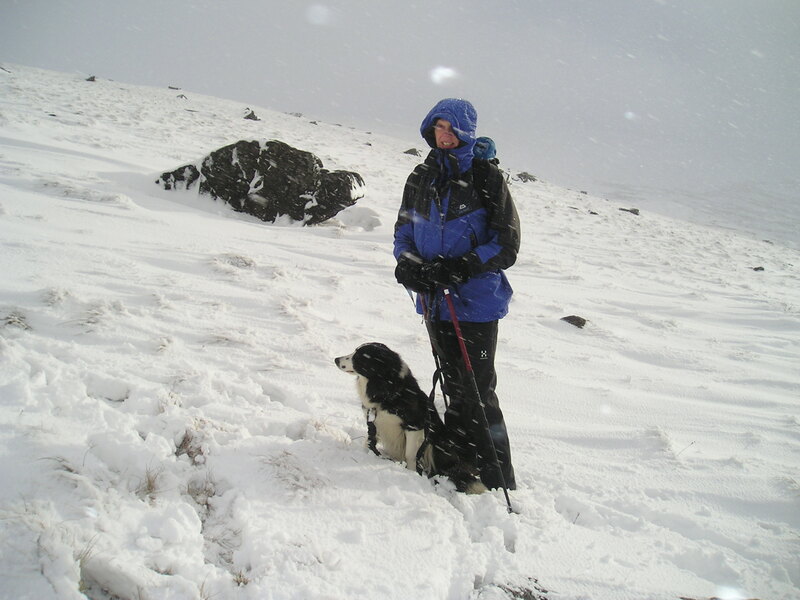 There had been snow the night before, but nothing extreme, so Great Whernside was chosen as being a good leg stretch. 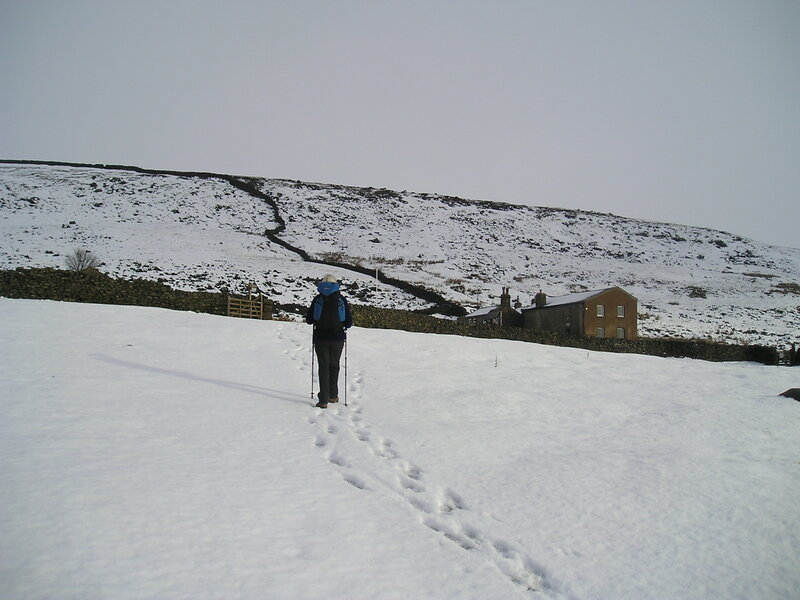 The car park at Kettlewell was icy enough to require care, but the path up to Hag Dyke was easy going with only a little fresh snow. Hag Dyke, an 18th century farm on the 460-metre contour, is now an outdoor centre owned by the Scouts. 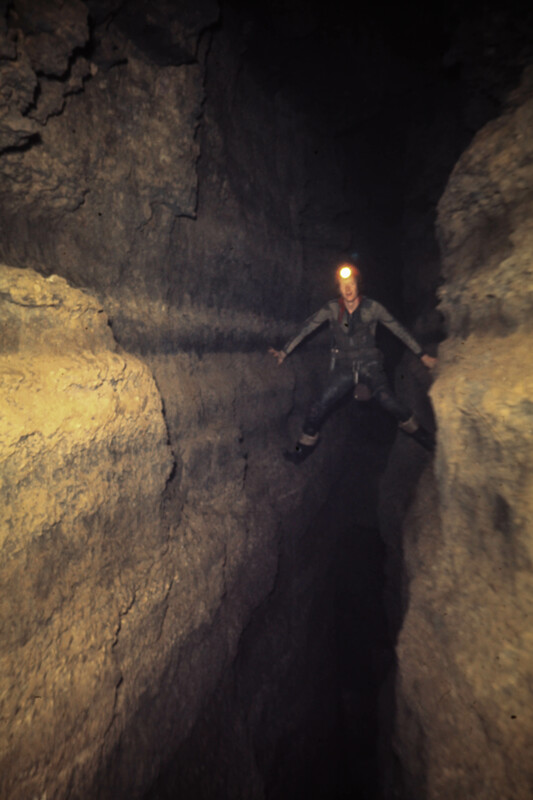 As well as the usual amenities you might expect at an outdoor centre, it has one of the most interesting (or notorious) caving trips in the country running over one hundred metres directly below the kitchen. 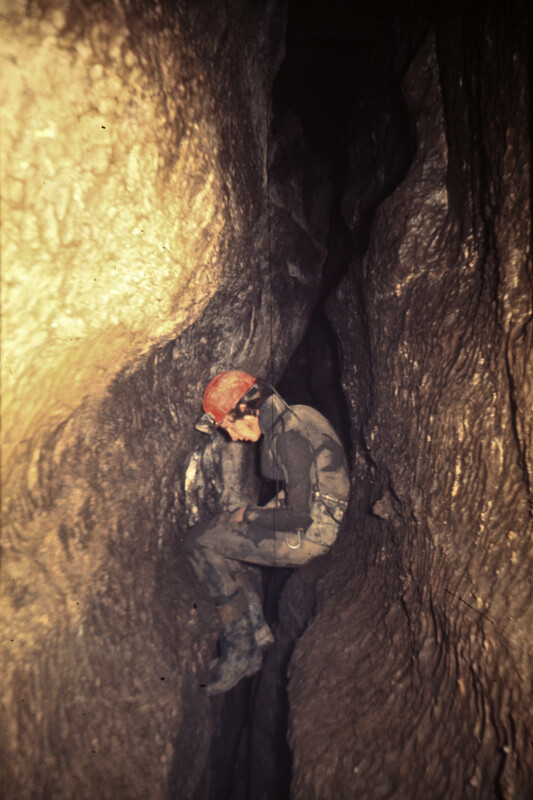 In an excellent article in the bulletin of the British Cave Research Association, Terry Trueman and Ian Watson described Dowbergill Passage as “….a very lonely and unforgiving place. ‘Overdue’, ‘exhausted’, and ‘stuck’ are the most common preambles to rescue call-outs”. ... and ending up totally knackered! These photos show the nature of the difficulties. My mate John Bamber did Dowbergill Passage in the late 1970’s. He describes the trip as “an eleven hour epic”. Asked what the secret for success was, he added, cryptically, “Keep your fingernails sharp!” Chris and I had no plans for extra excitement, so after a coffee break at Hag Dyke we pressed on up the hill. As we did it started snowing. ... and carried on snowing. We didn’t linger on the summit of Great Whernside. 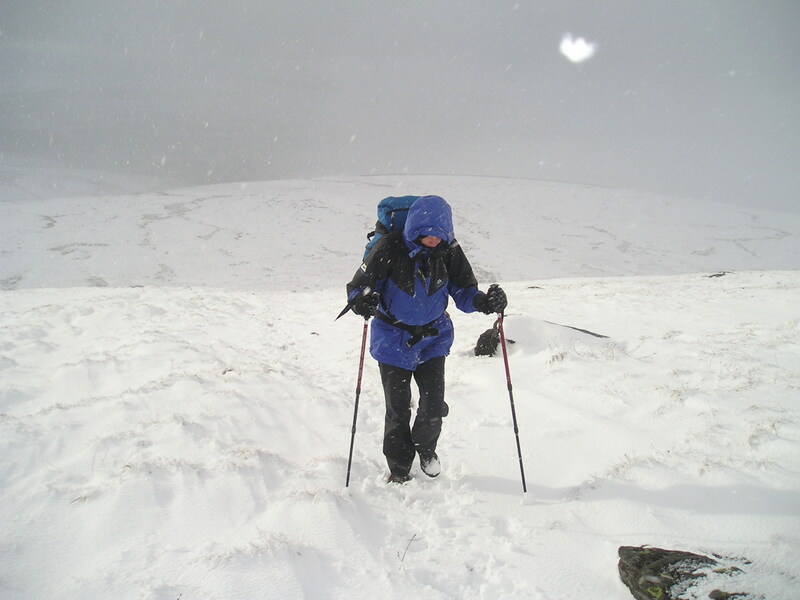 The wind from the north is invariably cold and makes its presence felt just as you reach the crest of the ridge. There was also enough mist to make serious navigation necessary. In my rucksack I had a state of the art GPS – unfortunately that was in my rucksack at a friends house in Mid-Wales, not in the rucksack on my back. So, it was going to be a traditional map and compass day. Poor visibility on the summit. One thing I emphasise when talking to people about navigation is the importance of not becoming distracted by strong crosswinds, people nattering at you, etc. Well, I did let myself get distracted in the mist by the other “Mist”, our Border Collie. It’s a useful trick when “slightly misplaced” to recognize the fact early, but although only about ten degrees off course it took thirty minutes extra time plodding through knee-deep snow to relocate on a good navigation handrail (a stone wall). From here all that remained was a simple descent. The simple descent had a sting in the tail. A steep 50-metre slope of névé (old frozen snow) barred the way. We didn’t have ice axes and crampons, and my stiff winter boots just about made an impression on the surface. We got off the hill by me “short-roping” Chris down the slope using the super-strong dog lead that she says is over-engineered – it was certainly useful for us on this occasion. A slope that would have taken about a minute with crampons took about 50 minutes of faffing about and looking for alternatives. 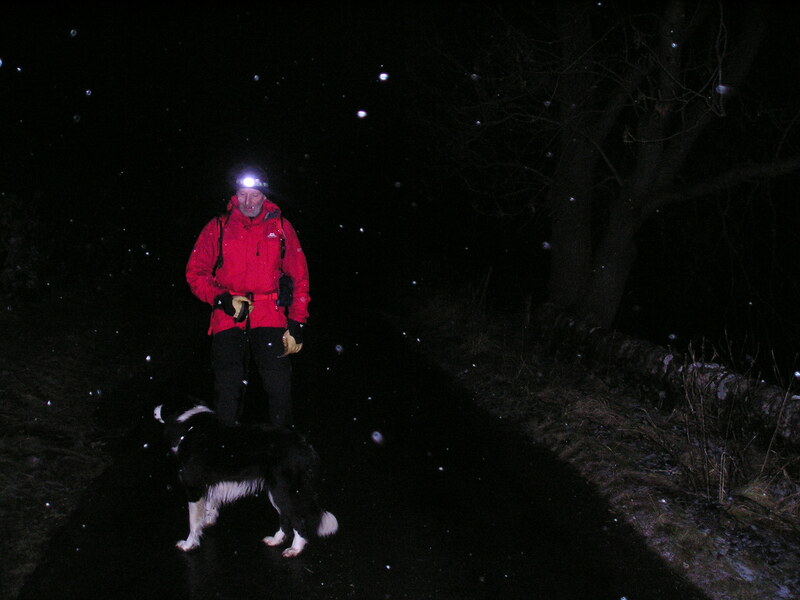 After that, the walk down the Coverdale road in the dark was a breeze! End of an "interesting" day. p.s. For those of you who like to read this along with your morning meusli (and I know there are a couple of you out there) I’m afraid you will have to carry on without me next Monday. I’m away over the weekend on a couple of one-day courses at Fort William (Avalanche Avoidance and Winter Mountaineering – The grey area) I’ll hopefully be back with you on Tuesday (18th January) with a trip report to follow, probably the week after. This entry was posted in 3. 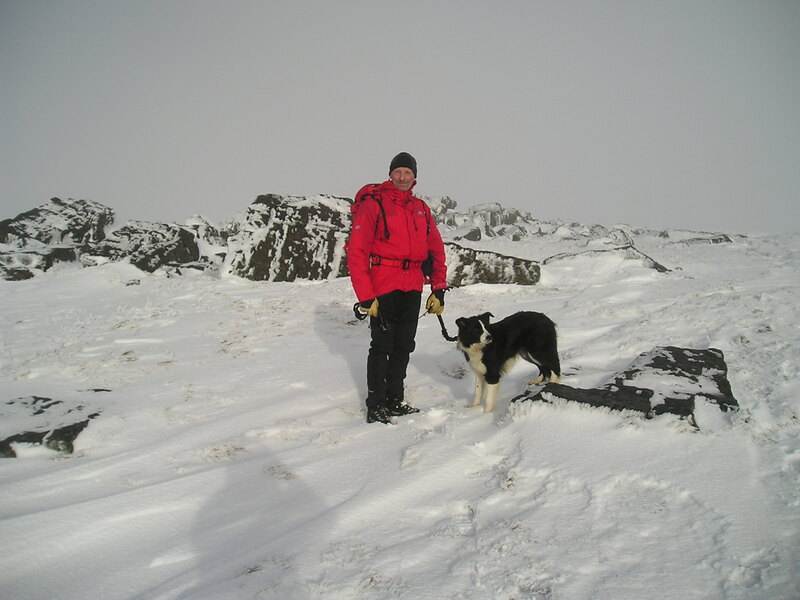 Yorkshire Dales and tagged Border Collie, caving, Great Whernside, hillwalking, winter. Bookmark the permalink. 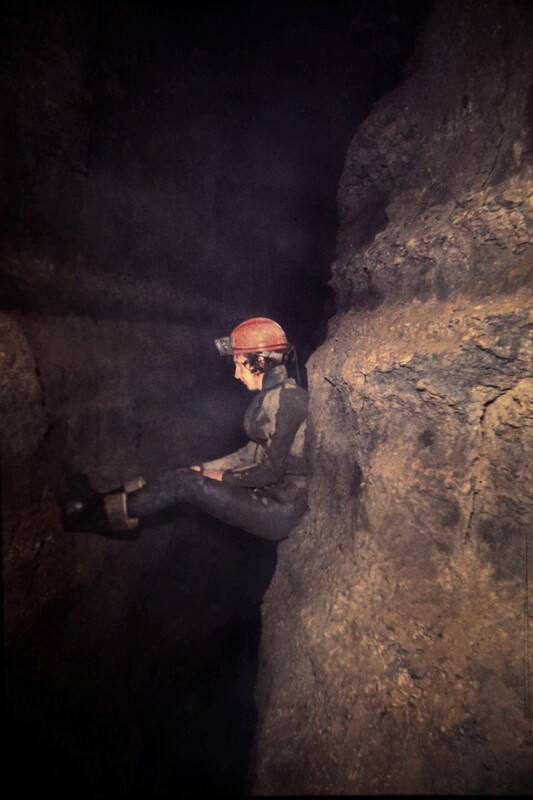 2 Responses to #8 – Great Whernside …Underground, overground.